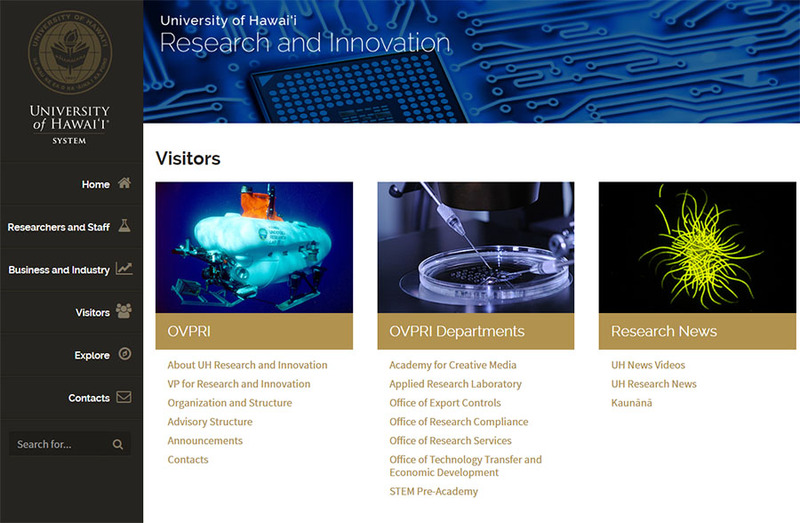 The University of Hawaii Office of the Vice President for Research and Innovation needed a new website that would not only communicate the innovation and research at UH, but a way for target audiences to quickly and easily find information through several departments. We worked with the client to determine needs, gather information and resources, and develop a strategy for content structure, user experience and design that would provide audiences with an appropriate first impression, and ease of use to find information. 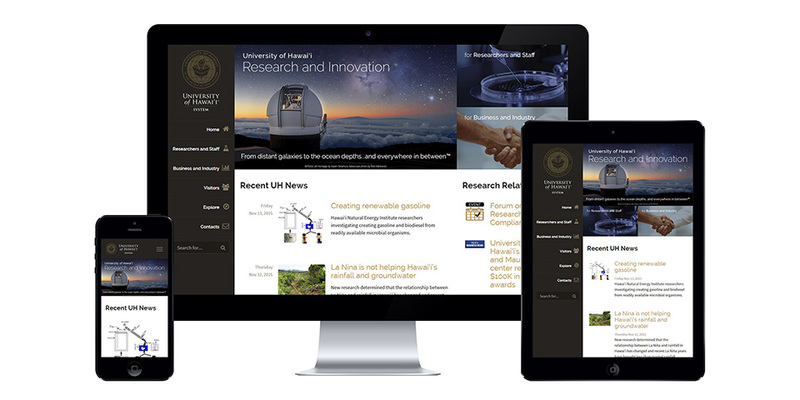 We applied a non-standard web design and structure that effectively communicates the innovation at UH, while providing users with an easy way to find information and resources they are seeking. UH staff and target audiences have reported a multitude of positive feedback, and the client is effectively managing content on the website. The site has gained positive attention within the key target audiences.